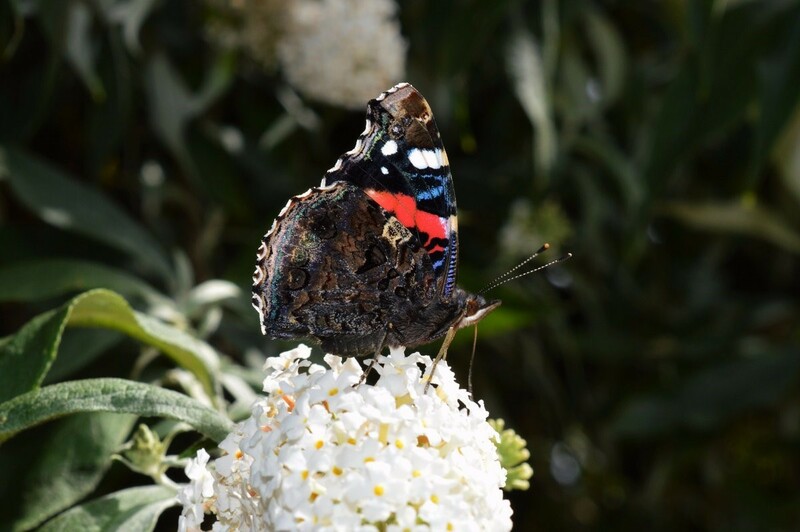 The Red Admiral butterfly is perhaps one of the best known species, even if people haven’t seen the species, most will recognise the name. The species also follows on nicely from our last profile on the Small Tortoiseshell, both of these species (and others which will be mentioned in the coming weeks/months) are part of the Vannesids family. 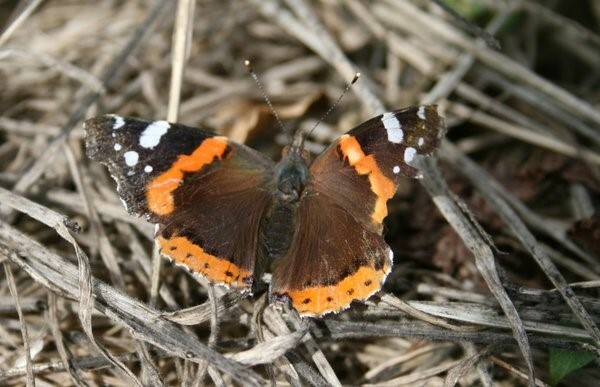 The Red Admiral can be found in a wide range of habitats from woodlands to gardens and even wastegrounds. It is a migrant species, but within the last five years it has been found to overwinter in Ireland. 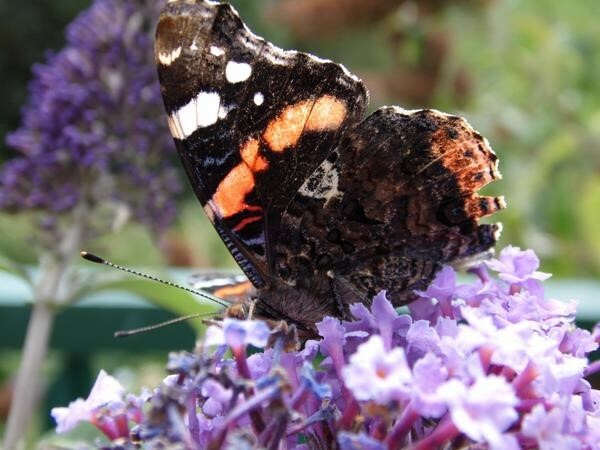 Identification for this species in Ireland is relatively simple as the only species which could possibly cause confusion is the Painted Lady (another member of the Vannesids and another migratory species, but generally rarer). The butterfly has dark brown velvet like wings with orange banding. On the topside of the forewing the wings darken from brown (closest to the body, up until the orange banding) to a black with minor white marking (small bands and dots). The top side of the hindwings are generally a more uniformed brown colour and are fringed with a thick orange band (with black dots). The underside of the species is also quite beautiful and interesting, I find the orange band tends to appear more of a red colour on the underside and there is also hints of a velvety blue colour which are close to the body. The white marks on the forewing again appear very distinctive as they contrast with the general dark coloured underside. The Red Admiral, similarly to the Small Tortoiseshell has Nettle (Urtica diocia) as its main larval foodplant. This species also creates a web like tent for protection while feeding and can at times appear somewhat similar to larva of the Small Tortoiseshell. Red Admiral larva generally go through a number of colour changes from black to pale green. When: Generally from May right through the season till September. (Since this species has now been found to overwinter in Ireland, you may even come across it earlier or later in the year than listed above).